Finally, the man of your dreams has asked you, possibly the most important question of your life. And now you can look forward to planning the day you have dreamt of all your life. The one thing that every bride gets told is to order her dress sooner rather than later as they can take up to 8 months to make! 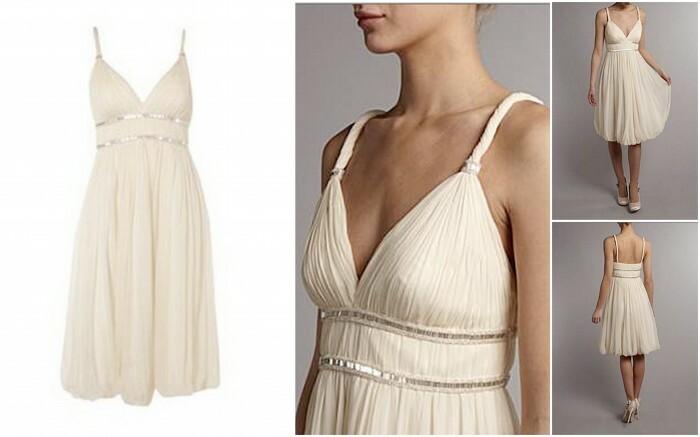 Most of us dream of having a Vera Wang or Jenny Packham gown but simply don’t want to spend thousands of pounds. So here are a few gowns that won’t break the bank but will still make you feel a million dollars on your big day! 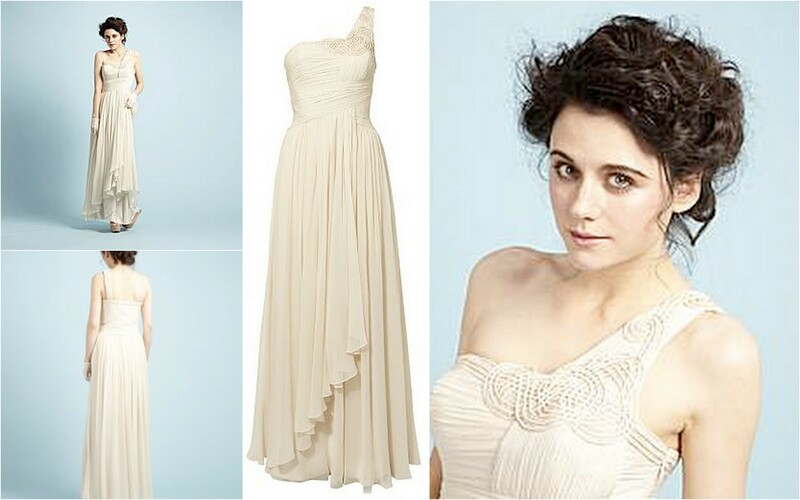 If you are after a simple gown that will give the ‘wow’-factor, then this ivory ball gown is the perfect candidate. Whilst it still has wedding written all over it, it doesn’t have the typical meringue skirt and will easily allow you to manoeuvre around so you can enjoy the party with your guests! And at £150 you can’t go wrong. This classis A-line strapless gown has a beautifully made bodice with crystal beading which flows into the duchess satin skirt, comes in ivory and is only £295. This gown is perfect for brides who don’t want strapless but don’t want straps either! Its empire line and boat neck make it a perfect choice for those who are having a small wedding and like to keep things simple with attention to detail. This dress is selling fast, and at £350, it’s no wonder why. If you want to ooze Grecian goddess on your big day but not spend a fortune, then this Biba One Shoulder gown is perfect for you, at £695 it is less than half the price you would pay for a designer gown and a great gown to take you from day to night on your wedding day. Are you getting married on the beach? Or are you have a relaxed and intimate wedding? Then this Anoushka G dress is absolutely perfect for making you feel absolutely fabulous without breaking the bank but standing out from the usual wedding dresses. This dress will set you back £280 at House of Fraser but without the 6 months wait to have it ready! Thinking of swinging in some sixties inspiration into your wedding day? Then bring on this feather fabulous little number. Combining the tassels with the embellished bustier, your dress not only says flapper but also stylish! Pair this with a relaxed up-do and pearl necklace for the ultimate 60’s chick and a “Great Gatsby”-feel. Retailing at just £396, which gives you more cash to splash on your amazing 60’s inspired live band! Next: Is It A Wedding Dress or Cake?